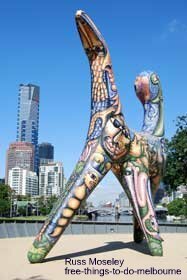 This 48 hours in Melbourne page has been created especially for you if you've got limited time here in Melbourne. ........Well, ok then, I admit it, I couldn't think of another name for it!! .........It should give you a good idea of what Melbourne has to offer. ..........Give me some feedback after you've done the routes as to whether you think there's too much or too little to do. I've included maps with the routes marked out so don't forget to click on the 'make maps larger' headings underneath the maps and to print them off and take them along so you don't get lost. They'll make your trip a doddle. 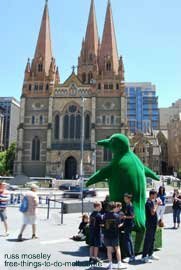 I've also added details about where to get on and off the free buses and trams and recommend places for picnics and lunches so that you can keep costs right down. ..........A bottle of water and comfortable shoes are a good idea too.